Ersin Han Ersin is a London based artist and director at the award winning experiential studio Marshmallow Laser Feast (MLF). Ersin’s art practice combines a wide range of disciplines including sculpture, installation and mixed reality. His work focuses on the relationship between real and orchestrated experiences. Utilising computation and technology, he examines human perception, spatialisation and movement. Drawing influence from the fields of biosemiosis, cross-modal perception and performance. His recent work focuses on non-linear sensory experiences in mixed reality. 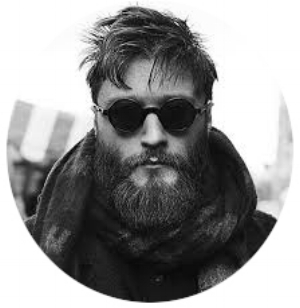 He has designed, directed and collaborated for the likes of New Movement Collective Nest, Imogen Heap-Me the Machine and MLF's In the Eyes of The Animal, which won the WIRED Innovation Award in 2016. Most recently Ersin and the team at MLF won the Tribeca Storyscapes Award for Innovation in Storytelling for Treehugger: Wawona. Marshmallow Laser Feast (MLF) is a London-based experiential studio working at the intersection of technology, art and science. Always looking to create experiences that immerse and amaze in unexpected ways, MLF employs a wealth of creative disciplines – from photo-real virtual reality to robotic performance and realtime mapping – to push boundaries, redefine expectations and excite audiences worldwide.